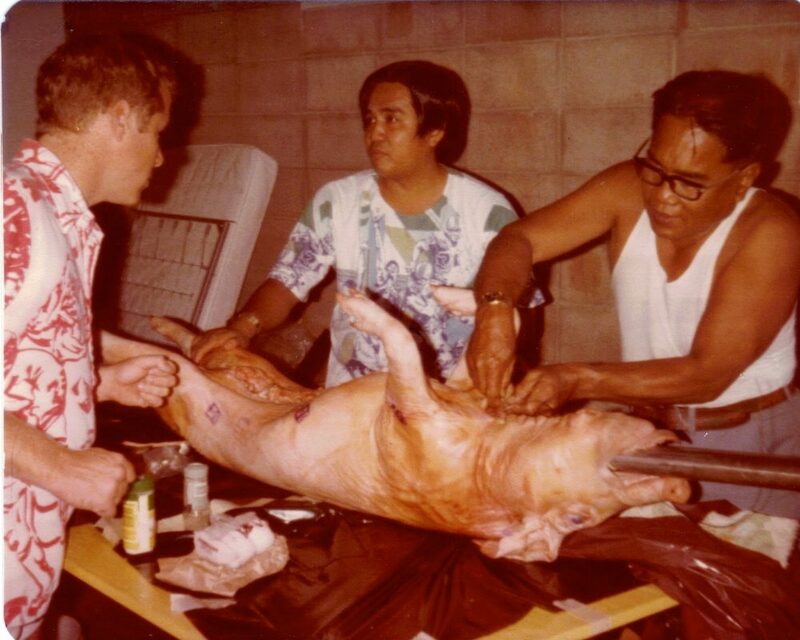 Growing up in Hawaii in the 1970s, my family and our neighbors spent New Year’s Eve roasting a pig in our driveway. We set up the spit and used corrugated tin metal sheets to block the wind and contain the fire. The ancient Hawaiians prepared much of their cooked foods in an imu, or underground oven, but we lived on one of the ridgelines overlooking Diamond Head where all the garages fronted the street and none of us wanted to dig up what little yard we had. Instead, we created our version of a garage party in Hawaii. During the day, the garage served as the cocktail patio, with pupus, drinks and lots of beer. The adults sat on folding chairs set up in the street and the garage, talking story while the pig turned. Meanwhile, the kids dipped rags into a plastic bucket filled with water and basted the spinning pig with a pole. The pig’s skin crisped and cracked, and the juices dripped on to the asphalt. Not long before sunset, the garage converted to a staging ground. Several dads took charge of butchering the pig on long tables covered in plastic. We did not have enough room in the kitchen inside the house, so we used the lānai for dinner. The garage party makes use of a simple structure next to the home, a makeshift lānai: A shelter that lends itself to community, to openness, to connecting, to a loose flow of conversation and music, to television, and football, especially now that University of Hawaii games are on pay-per-view. Garage parties are, almost by definition, casual, alcohol-infused and shared potluck. The only protocol: Everybody brings something, no matter what the host says. Mostly, garage parties bring people together. A recorded history of the garage party is hard to find, but traces of its origins linger. Lānai is a Hawaiian word that most people translate as veranda, but Daniel Akaka, a Native Hawaiian and cultural practitioner, told me it also refers to a roofed, open-sided shelter built next to a traditional Hawaiian home, often used for feasts. Still, the contemporary garage party in Hawaii probably has only a tenuous link to Native Hawaiian cultural practice. Today’s garage party, also referred to as an “open” house party, more closely resembles life on the sugar cane and pineapple plantations of the 19th and early 20th Century. 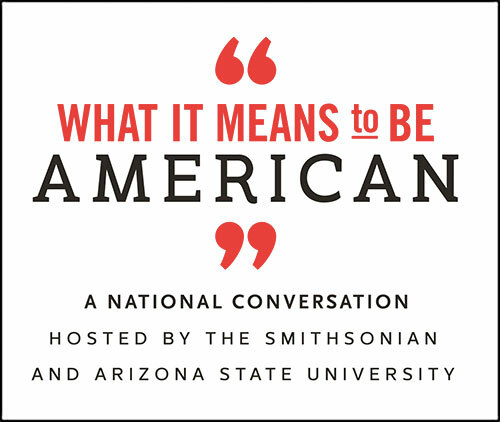 The evolution of the garage party reflects some of the cultural cross currents of Pan-Pacific peoples: the indigenous Hawaiians, the immigrants, and the visitors who stay and live in the islands today. Garage party in Hawaii. Photo taken by the author’s mother, Sue Anne Francis, 1978. Even today, garage parties most often take place in blue collar and rural neighborhoods. Pau hana, translated as “done work,” signaled the end of the workday or week on the plantation, and the workers set up tents and shared food. And the garage party continues to signal a respite from hard work. People park their cars in the street and set up tables, bars, televisions, and potluck in a carport, or even a tent with metal poles beside the house. My neighborhood was not blue collar. We were solidly middle class. Our New Year’s Eve party started in the garage, but then the moms set out the buffet on a table inside. Everyone brought a side dish—local plate lunch foods as well as special favorites from more recent imports, such as my mom’s German potato salad. 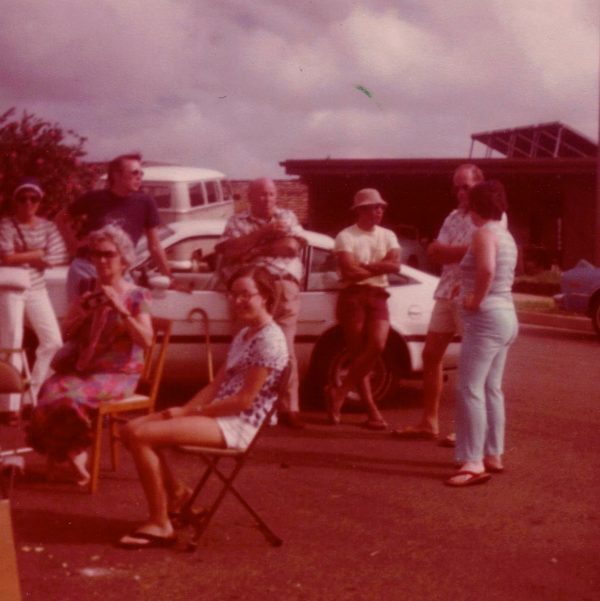 Our neighborhood, after all, reflected the ethnic mix of Hawaii and every combination thereof, as often people intermarried over the generations. For dinner, grandparents and parents, children and friends all streamed through our house on to the lānai, moving from our garage to our veranda. Some other types of garage parties serve mainly to keep guests from tromping inside the house. Yet these different garage parties have a commonality: it’s not really about the garage; it’s about what happens under the roof—about the people and the sharing of different foods. But it’s important to clarify what garage parties are not. Garage parties in Hawaii are not Hawaiian-themed parties in a garage a lá Pinterest. They are not even a “Hawaiian garage party,” a distinction worth making: Hawaiian indicates a person of Native Hawaiian ancestry or an indigenous cultural practice, not someone who grew up in Hawaii or something that sounds like a product from Hawaii—for example, “Hawaiian pizza” with Canadian bacon and pineapple, none of which is native to the place. Garage parties are also not like a commercial lū‘au, a word that only took on its current meaning in the 19th Century after the arrival of the whaling ships and missionaries. And garage parties are definitely not beach parties. Here in Hawaii, we could easily fire up the hibachi on the beach, bring the potluck of local favorites in aluminum trays and plastic ware and Saran Wrap, dance hula, and play music, or kanikapila (a spontaneous jam session with friends). We do this. The beach, though, is different, public and regulated (notably no alcohol) . . . dilapidated bathrooms, early wake-up to cockroach your spot, a caravan of tables and chairs, the fight for parking. In Kailua, a beach town on the windward (Eastern) side of O‘ahu, Clayton Izu, a retired fireman, and his wife Nadine, a retired state worker, have a weekly garage party that they call “Thirsty Thursdays.” Clay and friends go fishing and come back and grill some of the best fried tako (octopus) in town. Nadine invited me to join them, told me not to bring anything, except whatever I planned to drink. Another commonality for garage parties is that no matter what the host tells you, there is some protocol: You never come empty-handed. But no need to get fancy. I brought beer and chips. The Izus and their friends have known each other for decades, have helped raise each other’s children, enjoyed the grandchildren and great grandchildren, some of whom have become busy white-collar professionals. But even with a garage party’s blue-collar spirit, everyone is welcome, chairs scooted to make space as the next generation arrives after work. Many of these families remember their parents or grandparents working on a plantation. Keala Francis is a freelance researcher and writer, with a PhD in English (creative writing) from the University of Hawaii at Mānoa, and an MBA from UCLA Anderson School of Management. She grew up on the islands of O‘ahu and Kaua‘i.